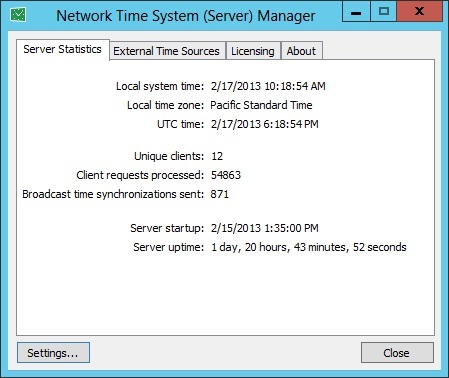 Network Time System is a full-featured Client\Server network time synchronization system that allows synchronization of all computers on the network clocks with Internet time servers or any other local source of synchronization. Network Time System allows creation of custom exact time source in corporate network environment establishing interconnected server time synchronization system for each and every machine on the enterprise network. This powerful software solution is ideal for networks of all sizes from small office local networks to large enterprise networks. All major system protocols are supported including TCP/IP, IPX, NetBEUI.